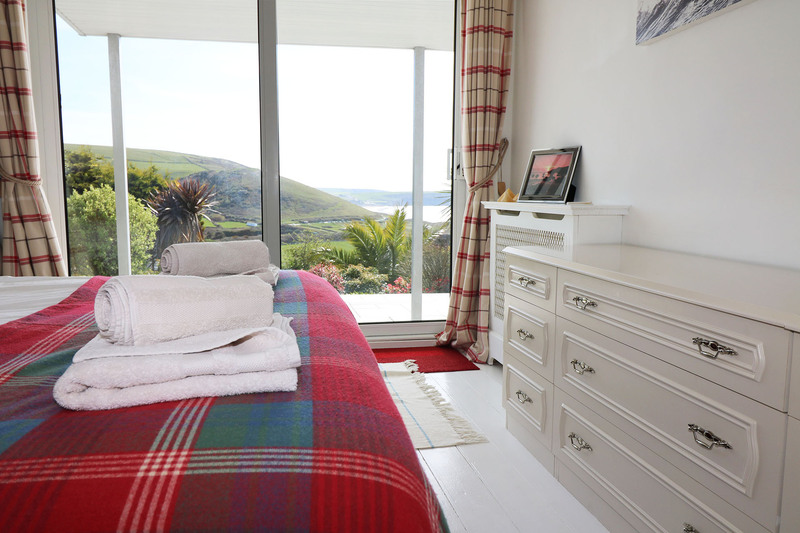 If you’re looking for wonderful views and a truly stunning location then look no further than Atlantic House. 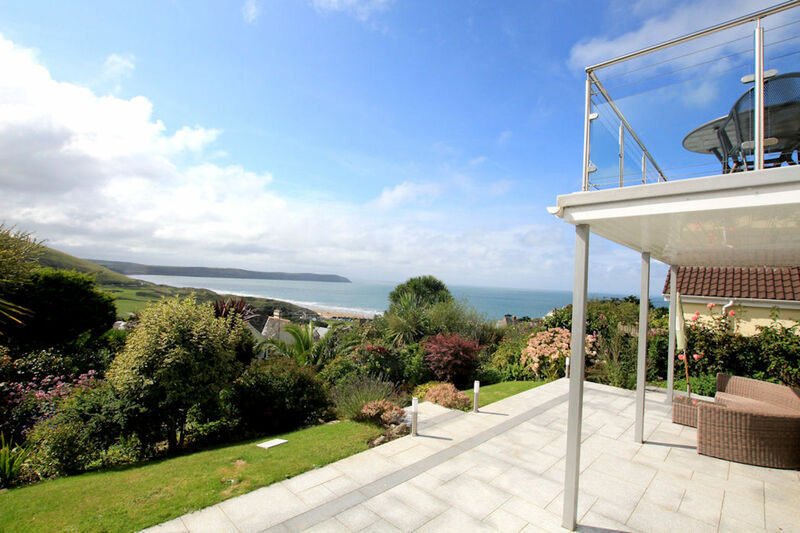 This fabulous four bedroom home boasts a spectacular outlook over Woolacombe beach and offers an open plan living/dining room for the ultimate family get together. 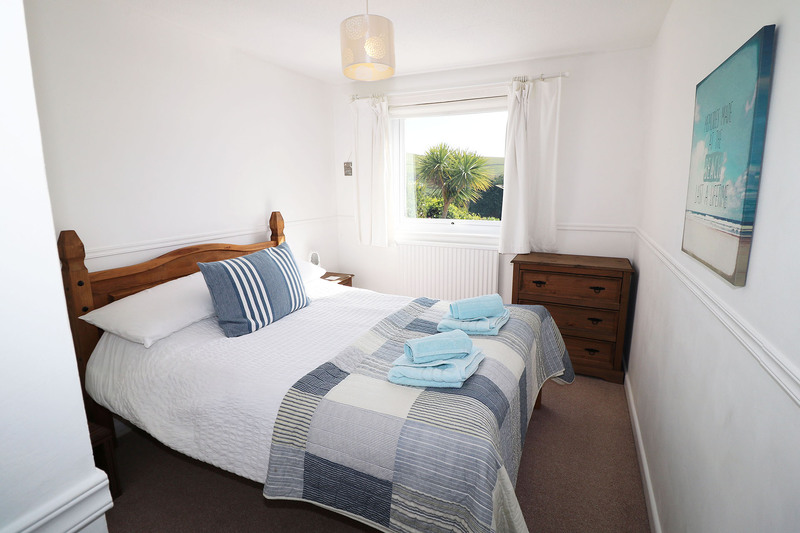 With a fantastic balcony and four comfortable bedrooms that can sleep a total of 8 people. There is plenty of room for everyone to have a peaceful, memorable break. The large terrace area is perfect for those lazy sunny evenings relaxing, with lawned gardens for the children to play in. 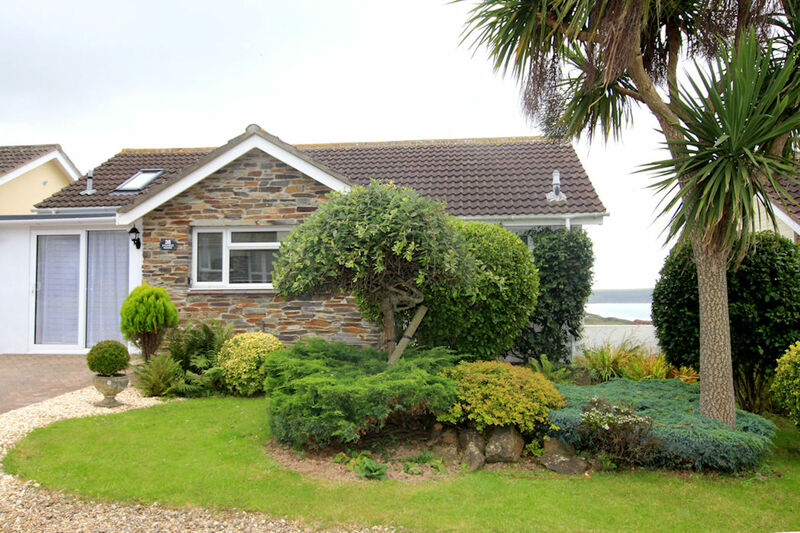 A really charming property that is certain to put a smile on your face from the outset. 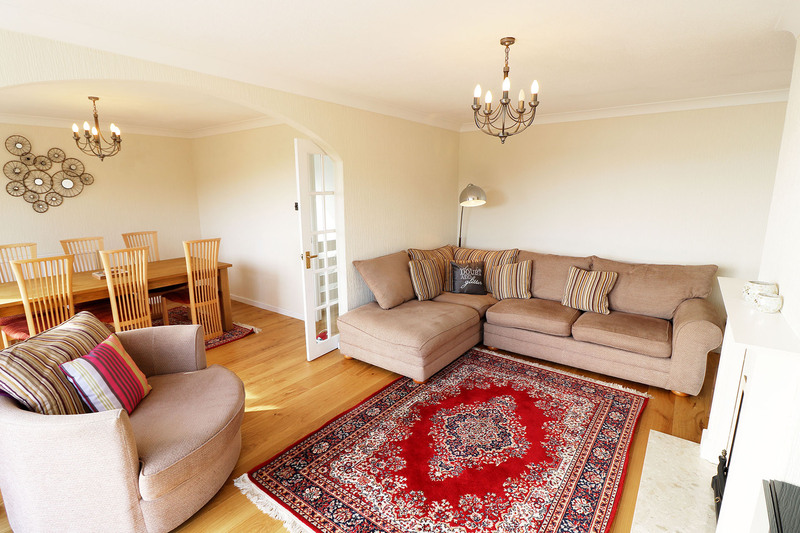 Atlantic House is arranged on two floors, with entry from the car parking area directly leading to both the kitchen and a spacious hallway. 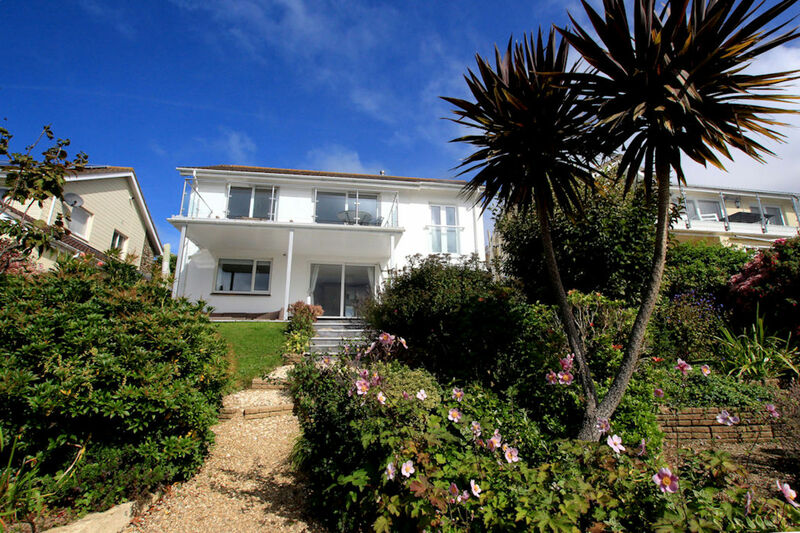 This leads to a newly completed, modern double bedroom with large French doors and Juliette balcony that frame some superb views over the beach. There is also an en-suite wet room with rain forest shower for that extra added taste of luxury- a room that would lend itself particularly well to elderly guests, but equally enjoyed by all. This floor also has a useful cloakroom and an open plan living/dining area that has been decorated in a fresh, bright and modern style there are sliding doors out to the balcony where you will find contemporary rattan furniture. 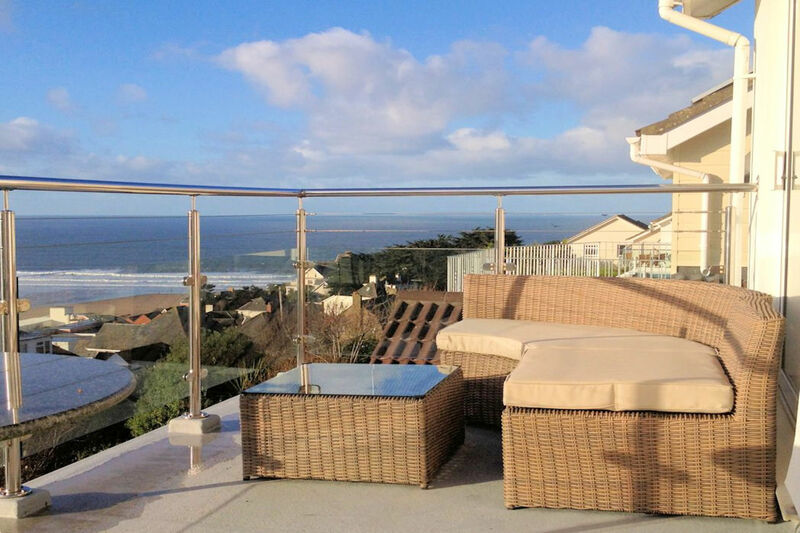 This superb outdoor space is perfect for enjoying a little 'al-fresco' dining, with breath taking views overlooking the garden and three miles of sandy, surfing beach that extends from Woolacombe all the way to Putsborough- you really couldn't ask for more! There is a separate, well equipped kitchen with all modern amenities and plenty of workspace for when you wish to enjoy an evening at home. A dishwasher ensures that everything can be tidied away quickly, leaving you time to catch up with your family and friends. 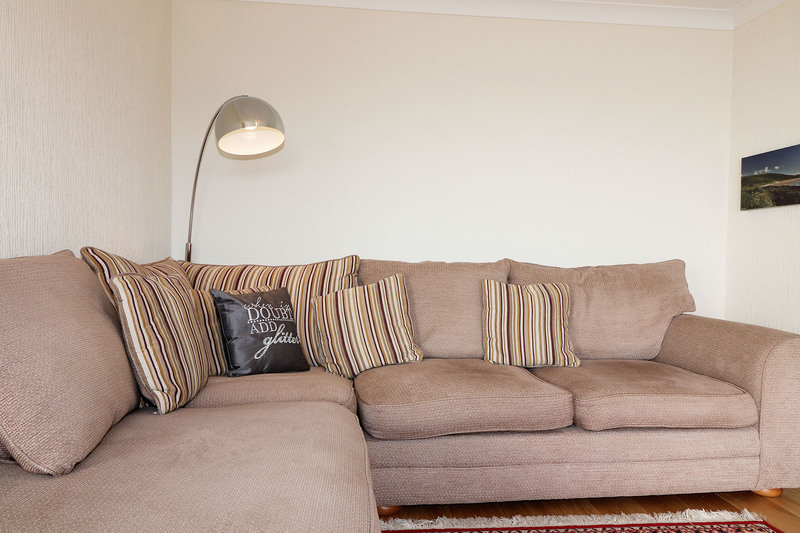 The attractive living area provides a great space for all the family, it hasa flat screen TV, Freeview, an Xbox with games, DVD's and plenty of seating for all. You are sure to find this space both practical and delightful, with an abundance of opportunity for you to unwind. Stairs lead down from the hallway to three lovely bedrooms and a stylish family bathroom with a shower bath. 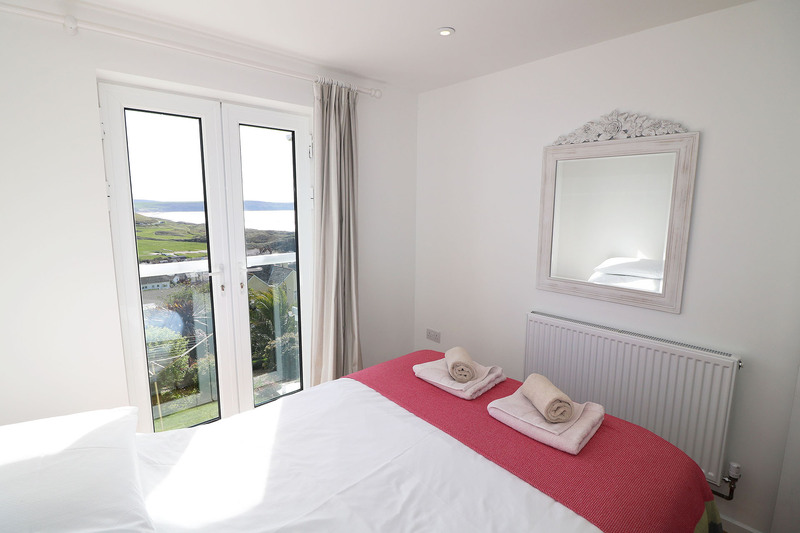 The sumptuous master bedroom has marvellous views out across the village, beach and sea with sliding doors leading onto the large, newly laid terrace. 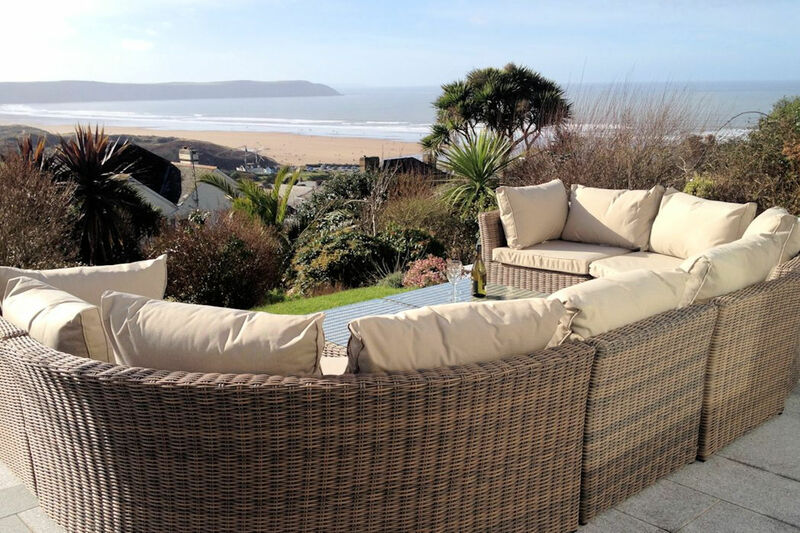 Here you will find some more super rattan-style outside furniture that provides an excellent excuse for lazy evenings admiring the sunset skies over North Devon. 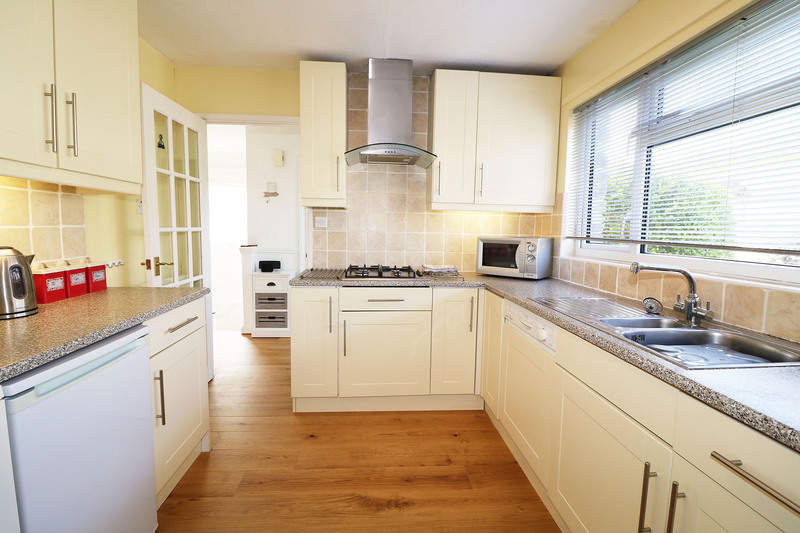 There is also a further double bedroom and twin bedroom on this floor, both tastefully decorated in an appealing style. Outside there is dedicated parking for two vehicles, with further unrestricted roadside parking for extra vehicles if required. 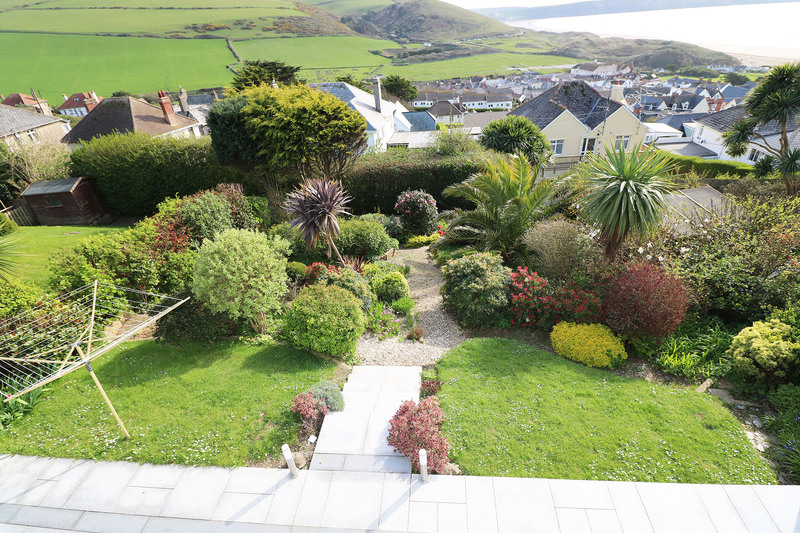 Accessed via steps from the side of the property and also the master bedroom, is a large patio area and terraced mature gardens all enjoying views over beautiful Woolacombe Bay. The rear terrace and gardens are fully enclosed with lighting, should you wish to enjoy a little bit of the crisp night air. 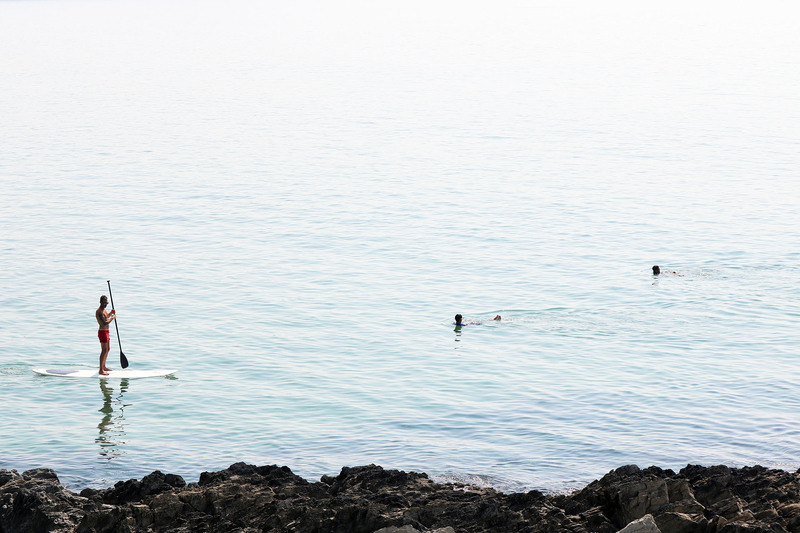 There is a convenient storage shed for surfboards and a BBQ provided for you to enjoy at your own disposal. This house is a real gem and provides you with everything you could possibly need for an unforgettable stay with Ocean Cottages. 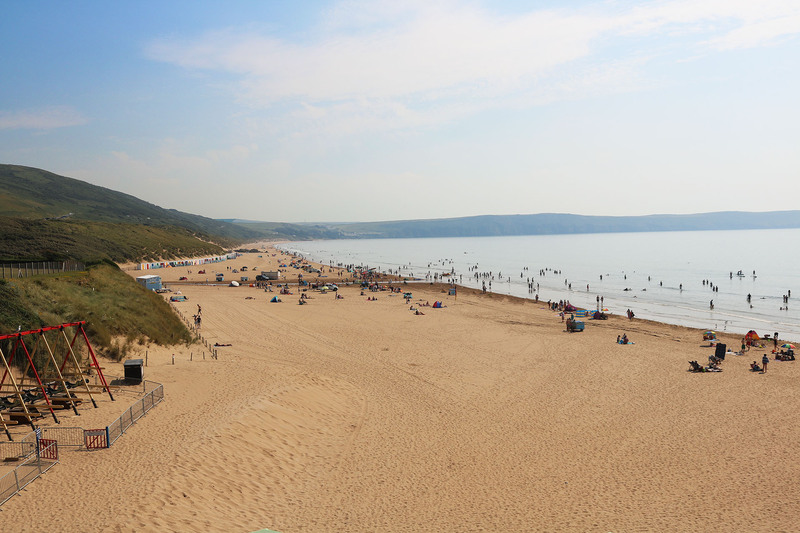 You will find plenty of activities on offer in Woolacombe itself, with options varying from crazy golf and surfing to beach side foraging and kayaking. 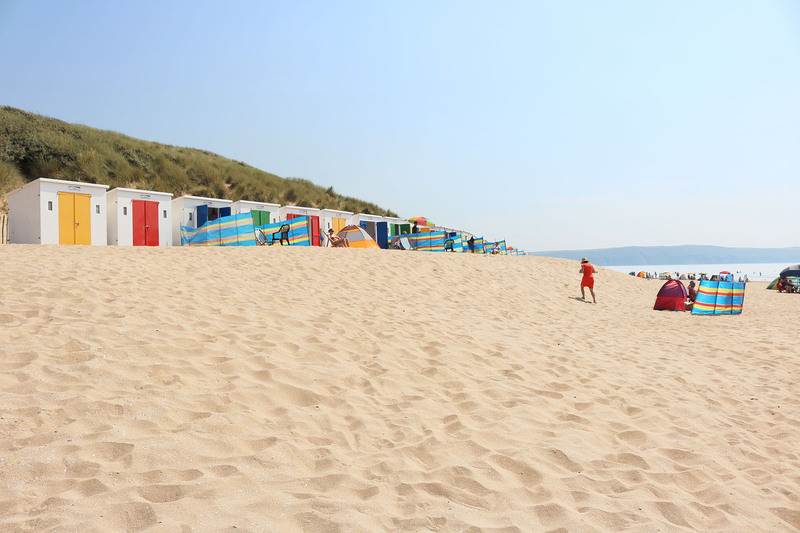 A popular resort for many, you will find lots of busy restaurants and pubs, serving gorgeous local cuisine and tasty ales. 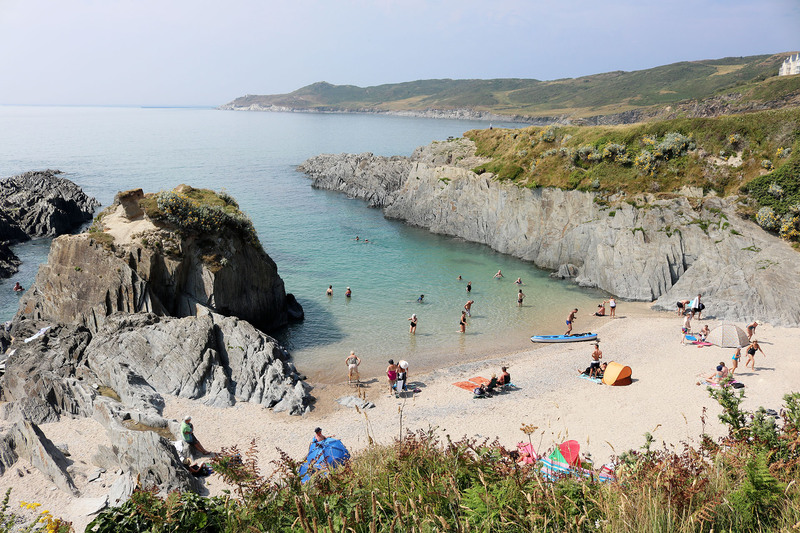 As well as the main beach, there are also lots of smaller coves around the area for you to explore, some with coastal walks outstretching over glorious countryside and an abundance of colourful wildlife. Don't forget to bring your camera to capture this very special part of the UK. Lovely location, views and house. Fantastic coffee shop - search out 'Meraki' coffee shop - try the beetroot latte! Great walks along the nearby coast path and of course the surf. The sun shone and the snow showed but we even managed lunch on the balcony. Thank you. 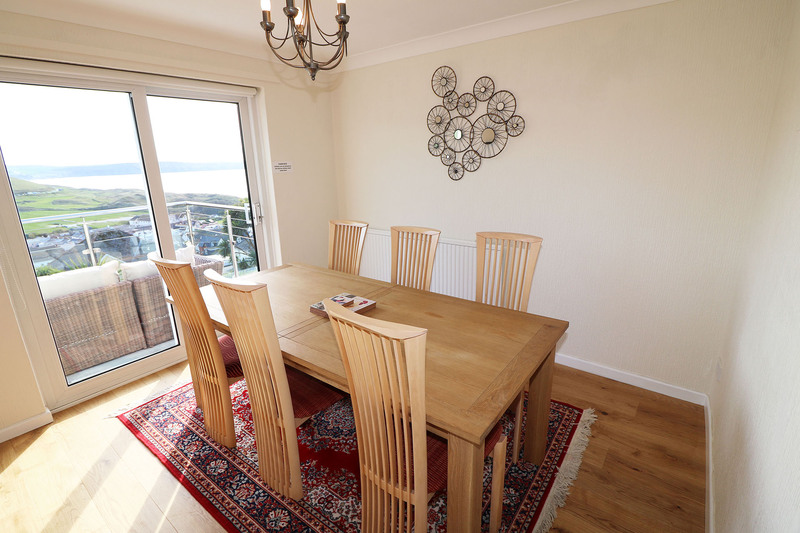 Very comfortable, well equipped, great views and location - just need an escaltor for the walk to and from the beach for the lazy ones!